Now on BluRay/DVD Combo Pack! When I was a child growing up in the 1970s, I fondly remember watching black and white reruns of The Little Rascals from the 1920s and beyond. Although the show was not a politically correct one, it did offer comedy and slapstick. The Little Rascals were a group of kids that were always getting into trouble and running amuck without a parent in sight. Some of the best episodes involved drunken monkeys, firecrackers, incompetent police officers, runaway vehicles with no brakes, a toddler who could not stop saying the word "remarkable" and The Little Rascals' rendition of Romeo and Juliet. Some of the episodes were hysterical. In the same tradition as the television series, comes The Little Rascals Save The Day movie from Universal Studios! Like the original, it features Spanky, Alfalfa, Buckwheat, Darla, Petey the Dog and all their friends. In the new movie version, The Little Rascals are a group of 8-year olds concocting madcap plans to earn money--and keep Grandma's bakery from being repossessed by a scheming businessman. Money earning ventures include pet care, a taxi service and caddying--but each of their plans goes hilariously wrong! 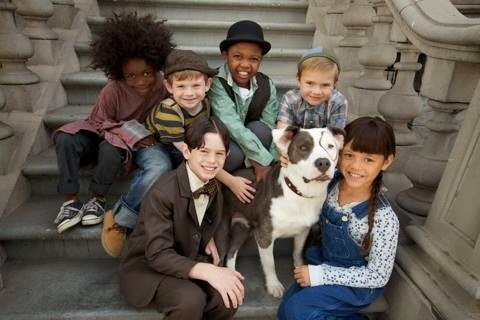 In the final analysis, The Little Rascals must win a local talent contest in order to save the bakery. Can they do it? (VIDEO) Watch the movie clip of The Little Rascals Save The Day movie, below! 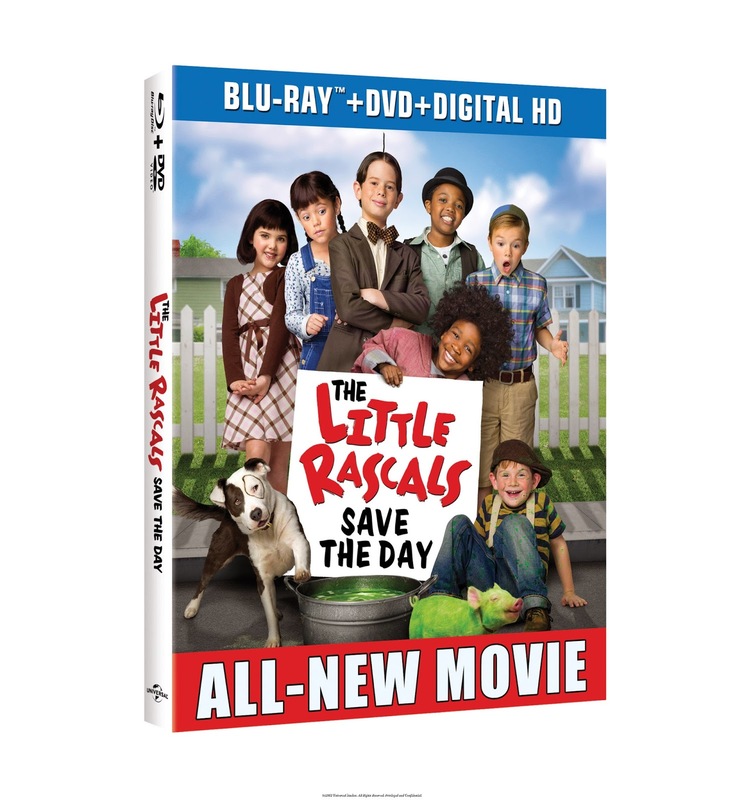 WIN The Little Rascals Save The Day movie on DVD from SnyMed.com! 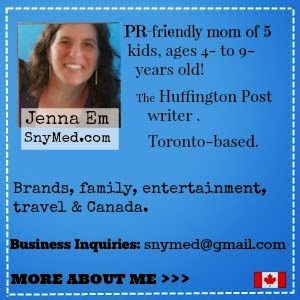 Contest open to Canada & USA, and ends on Friday April 18th, 2014. GOOD LUCK! Leave a COMMENT below stating if you've ever heard of The Little Rascals before (or watched an old tv episode) OR who you'd like to WIN this DVD for. Then, use the entry form below to enter the contest. GOOD LUCK! I have heard of them before! I used to love watching the Little Rascals when I was young. Froggy cracked me up! I used to watch the old tv series on Sunday Mornings on PBS as a kid. Loved that show. I watched some of the episodes when I was a kids. I have watched the old episodes before, and I would like to win for my kids :) Thanks for the chance. I use to always watch the TV show when I was a kid. I have of course heard of and watched them before, but I am hoping to win for my daughter! This is another good show that I use to watch with my brothers all the time when we were kids. Never heard of this movie! But sounds great for older kids! I used to watch the movie that came out in the 90's ??? I've actually never seen any Little Rascals before although I have heard of them. I use to watch them every Sunday morning when I was a kid. I used to watch Little Rascals all the time! And then my parents banned it from our house because we started acting like little rascals! I used to watch the tv version back in the day. I would love to win this for my grandchildren. Yes, I have heard of The Little Rascals before. My dad was a big fan of The Little Rascals growing up. I also saw The Little Rascals movie when it was out in theaters back in 1994. Yes, I have heard of The Little Rascals before. My dad was a big fan of The Little Rascals when he was kid. I also saw The Little Rascals movie when it was out in theaters back in 1994.